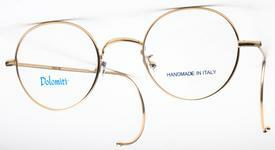 Most eyeglasses frames are unisex, meaning that they can be worn by men or by women. 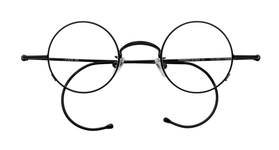 We have put together a selection of prescription glasses frames here that we like. If you would like a larger selection, try browsing by brand, or by going to our advanced search feature. For those of us who need eyewear to either see up close or in the distance, it would be difficult for us to function efficiently without prescription glasses. Are you wearing prescription glasses specifically for the computer to read this page? Would you even be able to see anything without your prescription eye glasses? Imagine life without your prescription eyewear for a year, a week, a day or even an hour. We are fortunate to live in a world where access to prescription eyeglasses is relatively easy and affordable. And Eyeglasses.com wants to make it even easier. Today, prescription glasses remain popular even though many people who have vision problems can choose as alternatives to wearing eyeglasses contact lenses or undergo laser corrective eye surgery. 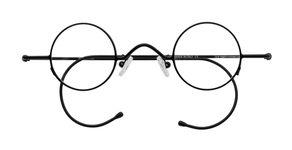 Even with these options, many people still prefer eyeglasses. Since prescription glasses are a meeting of fashion and a medical necessity, the market place for prescription glasses and sunglasses seems to just keep on expanding. It used to be that the only place you could purchase new prescription glasses was at an optician or eyeglasses store. 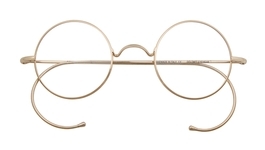 With your eye prescription in hand you would walk into the store, select your glasses frame, and come back several days to a week later to pick them up after the lenses had been ground by optical laboratory technicians to the optometrist requirements and to the size and shape of the frame. 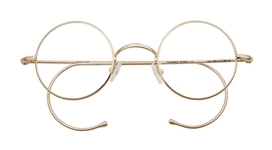 The price for new glasses frames and glasses in retail stores is not cheap and can easily become quite expensive particularly if you select a “designer” eyewear frames and /or want bifocals or trifocals, or have particularly difficult prescription requirements.? ?With the advent of the internet, you now do not need to take a trip to the eyewear store to chose glasses frames and get your prescription lenses, nor pay the higher prices. With a prescription from your optometrist you can now buy prescription glasses online at Eyeglasses.com. Our selection is so broad it is mind boggling in its scope and options. We make it easy for you to select your frames with designs that vary from classical, to sporty styles, from retro to modern in numerous sizes and shapes.